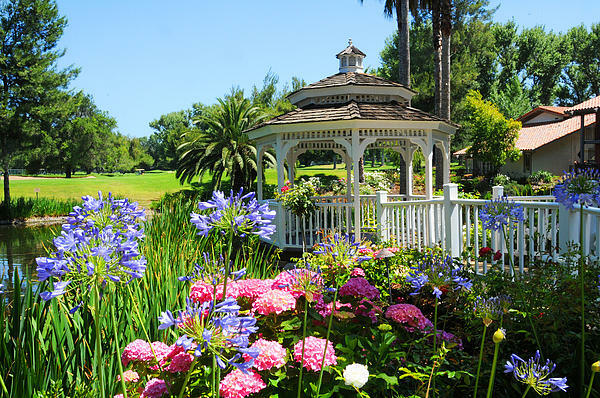 A pretty white railing borders the walkway that leads to the gazebo at the Westlake Village Inn Hotel. 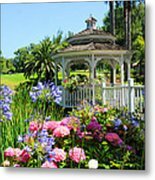 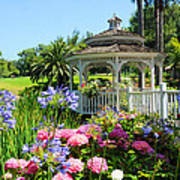 Beautiful pink hydrangeas and blue agapanthas add wonderful color to the golf course landscape behind the gazebo. I am sure that many a beautiful wedding has taken place in this gorgeous setting! 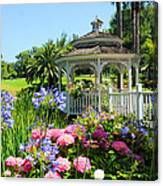 Westlake Village, California.